A welcome visitor from the north, recently overhauled 'Black 5' No. 45212 heads this 'Cathedrals Express' trip from Alton to Bath. 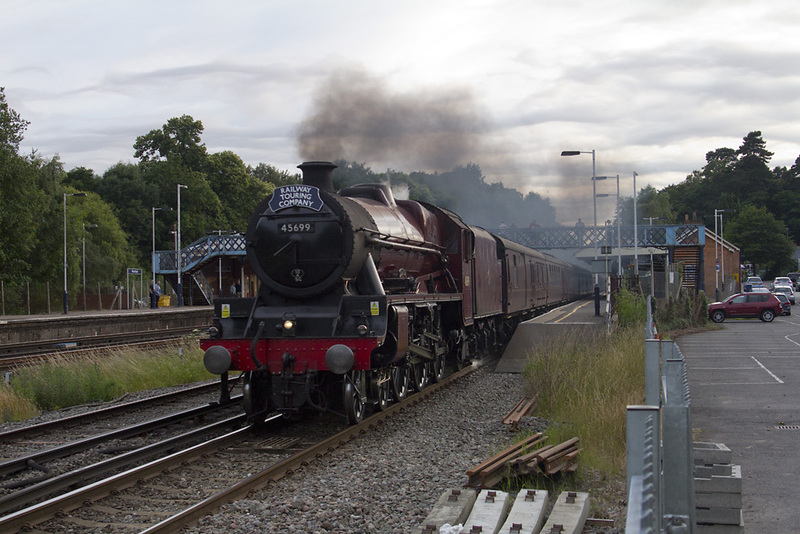 45212 is seen approaching Aldershot for a brief stop. 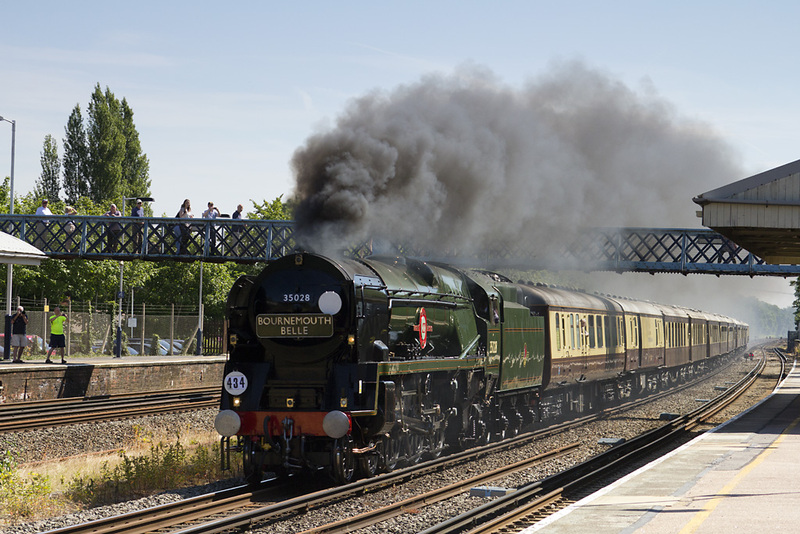 45212 left the trip at Salisbury on the return but signal problems near Bath left the train running over 2 hours late. 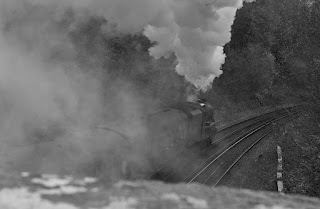 Some sound to listen to over on Soundcloud here. 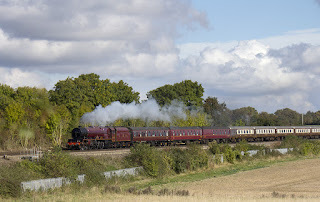 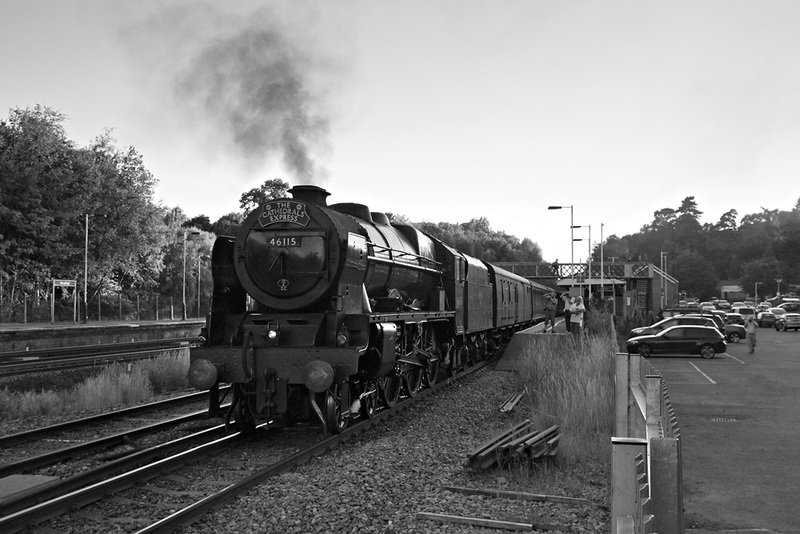 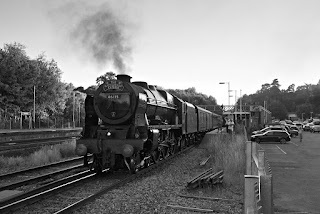 Making a wonderful sight at Winchfield, 35028 Clan Line heads 'The Bournemouth Belle' from London Waterloo. 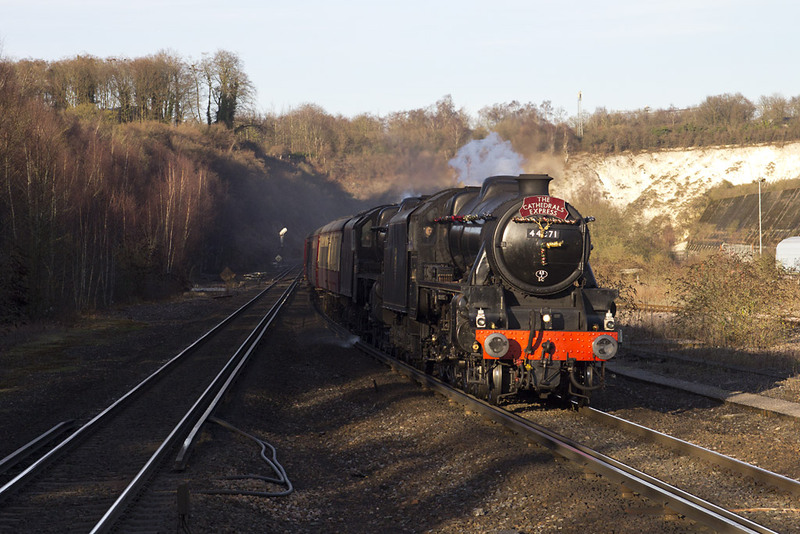 Some late winter afternoon sun for 'Black 5s' Nos. 44871 & 45407 heading down grade at Micheldever with a 'Cathedrals Express' trip from Ashford International to Winchester.